Christmas is all about love – and rum, if you ask us. That’s why we have handpicked 24 of our favorite sipping rum to make Christmas time even more lovely. Whether you are new to rum or already an experienced connoisseur, you will be surprised. 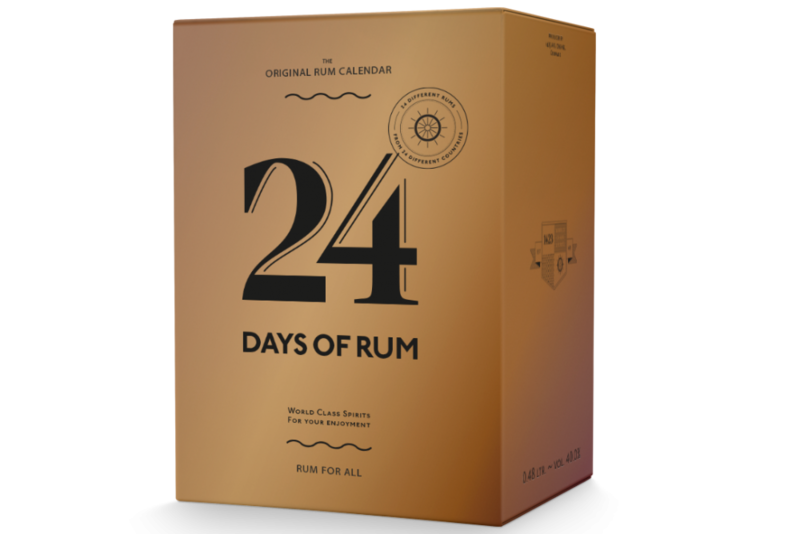 24 Days of Rum - The Original Rum Calendar 2018 contains 24 different rum from 24 different countries all over the world. At the websites, we will state all the information and tell stories about the brands. You can also write comments and start a dialogue with other rum-lovers at the website and rate the rum with stars from 1-5. You can always get in touch with us directly through the website, and we will be ready to answer questions about the different rum, producers, where to buy the products etc. You have 1 box with 25 doors inside. Behind the first door you will find a tasting glass, and behind the doors marked 1-24, you will find one small 2 cl miniature bottle with the rum sample for the day. Each day leading up to Christmas eve you can taste a new rum. On the miniature bottle, you will find a specially designed label by the producer with the name, ABV and country mentioned on it. Together with the calendar, you will get your very own A5 “ Tasting Notes” folder so you will never forget your favorites. 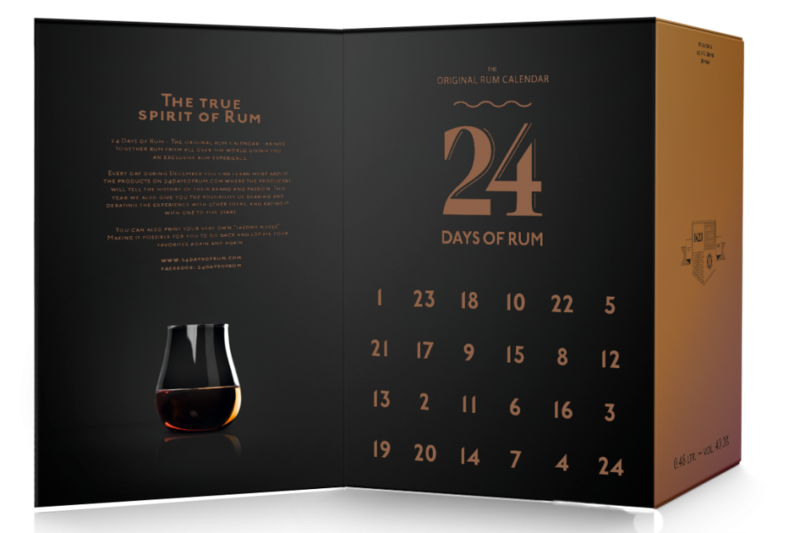 We consider the Rum Calendar to be a rum school where you will find both renowned brands and unknown gems that can only be experienced in this calendar, which makes the content very special. 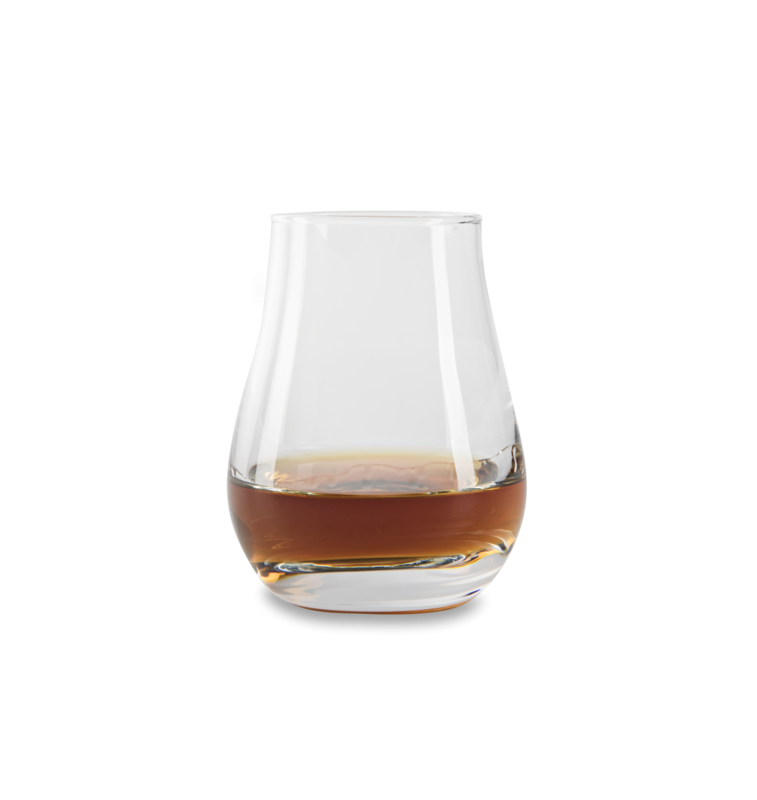 The taste and strength varies from rum to rum, and you will taste both sweet and dry rum. How long can you hold up? Get ready to explore bold and well-traveled rums from all over the world!